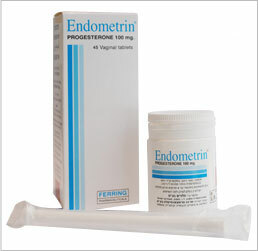 This fertility medication is most often prescribed in conjunction with FSH medications and provides the hormone hCG to stimulate the ovaries. 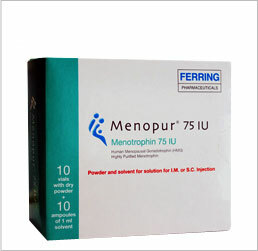 Ovidrel is usually prescribed along with a FSH in order to produce and mature eggs for implantation in the endometrium, and drastically increases the chances of conception. 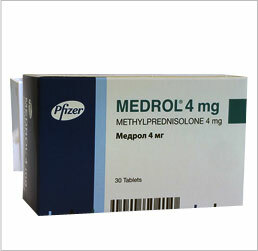 Ovidrel is one of many high quality infertility medications offered by IVFPrescriptions at a very low cost. Of the infertility drugs on the market, Ovidrel has a successful track record resulting in pregnancy, especially when combined with other medications. 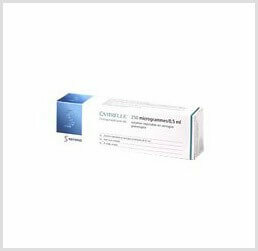 Ovidrel is one of many IVF meds that are indicated for use in treating infertility. Because we offer only the top branded IVF medications we are able to help you save on the Ovidrel price, over most others in the same market. Ovidrel, used as part of the overall IVF treatment, and in conjunction with other IVF drugs, can have one or more side effects. Most women only experience injection site tenderness, abdominal pain, vomiting, or nausea, which may go away or lessen over time. Symptoms requiring medical intervention include swelling of the feet, hands, face, breakthrough bleeding, extreme lethargy, slurred speech, chest pain, impaired vision, or shortness of breath. If any of these symptoms appear, seek medical attention immediately.